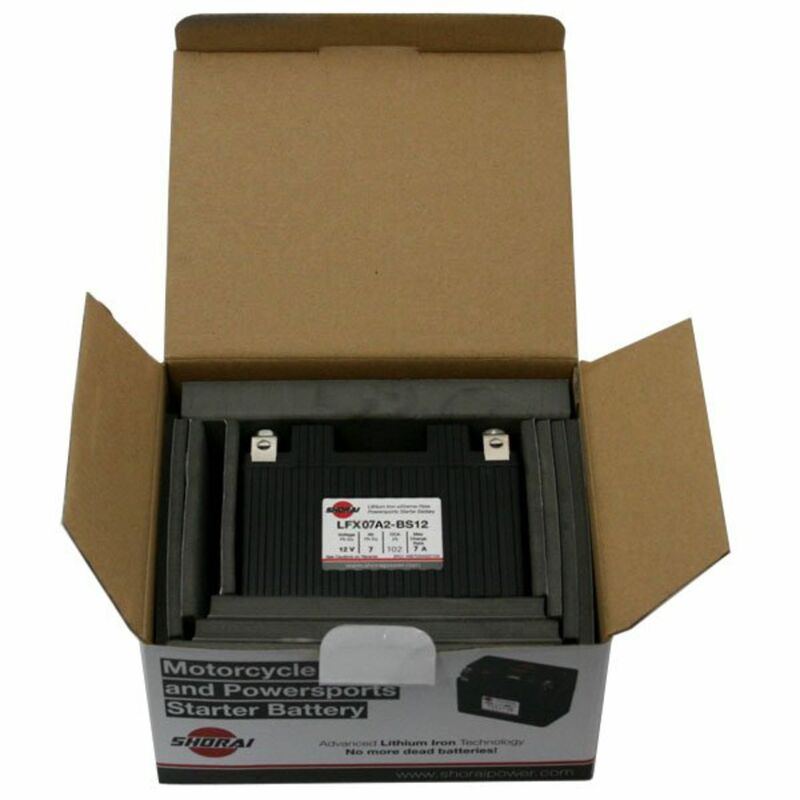 When it comes to Powersports applications and lithium batteries, BatteryStuff.com recommends that you use the best, most powerful version that will properly fit your application. Shorai may list several battery sizes in their application chart that will fit your bike, but in our opinion the small gains in weight are typically offset by she superior starting power offered in the upgraded versions. 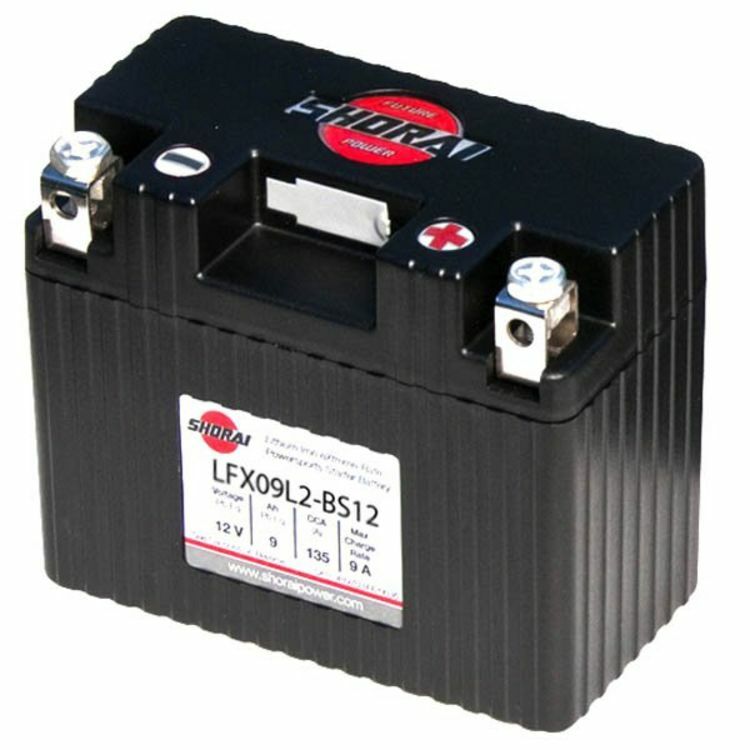 For this reason BatteryStuff.com has chosen to only carry the more powerful version of this battery, see the LFX14L2-BS12. It will be the exact same dimensions and terminal location as Shorai recommended battery, but with a bit more capacity. Rated 4.50/5 Stars from 4 customer reviews. Do you own the LFX09L2-BS12? Please, tell us what you think about it. It helps us provide you with better products. Please note that it may take up to 72 hours for your review to appear. Pros: Fits in a Chinese scooter (gy6 150cc) with the shims provided. 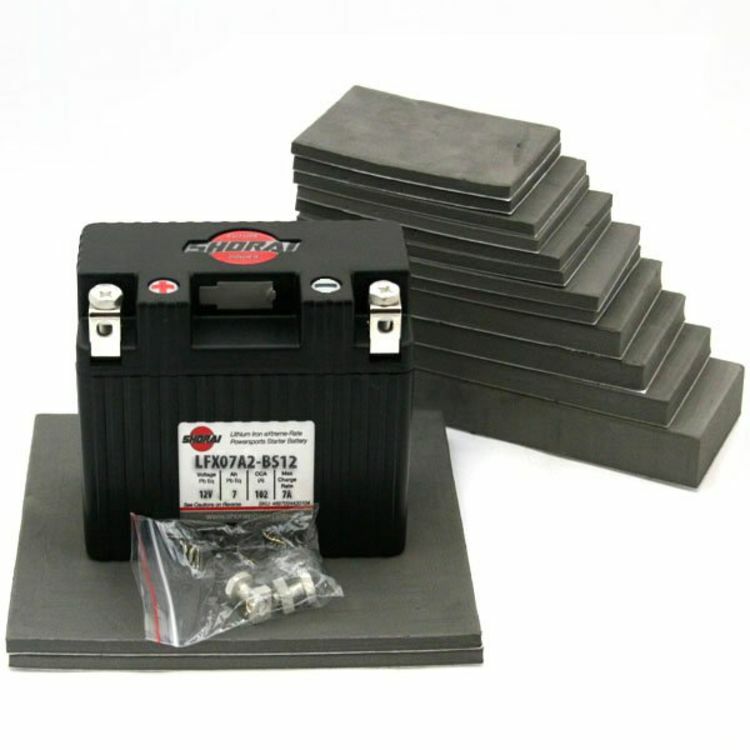 (Easy installation) Starts engine better than old AGM battery. (Faster starts) Takes a charge surprisingly quick. Spend less time worrying about how to get home. Cons: Costs about 3 times as much as original AGM battery. Unknown real world life expectancy (but hopefully 5 yrs) Electronics instructor made fun of its size! If overdischarged, battery life will be compromised. If nobody ever tried anything new or different, technology could not advance. So I made up my mind to try something new. Pros: Small, lightweight, very powerful. Pros: I decided to try a lithium battery and BatteryStuff.com was recommended to me by a riding friend. I went on the website, checked with Jeremy, who was very helpful, and decided to go ahead with the purchase since the price wa right and the shippping was free. I ordered it at noon on Monday and the USPS delivered it to Massachusetts with my regular mail on Wednesday!!!!!!!! I installed it in my motorcycle on Friday. It was as advertised and has performed up to my high expectations. The only question left to be answered is its longevity and that will have to wait a few years. That's the only reason I didn't give a five star rating. Cons: You should have classic Triumphs on your motorcycle list.